Thought there was only one tulip? How wrong we both were! There are dozens of varieties of tulips to match every need and color you could desire. Want some great tulips for charming bouquets? Don’t worry, we’ve found the top 8 tulips to beautify your home. Try these plants out in your gardens, and take a few indoors to your best vase for a fresh bouquet every so often. These tulips are all residents of zones 4-6, and so are not well suited for very hot or cold areas. If your summers kill even the weeds, or if you’ll be scraping ice off your car until July 31st, then I’d recommend looking for hardier plants that are made for your zones. This tulip, believe it or not, looks like balls of fire on the stems of a plant. 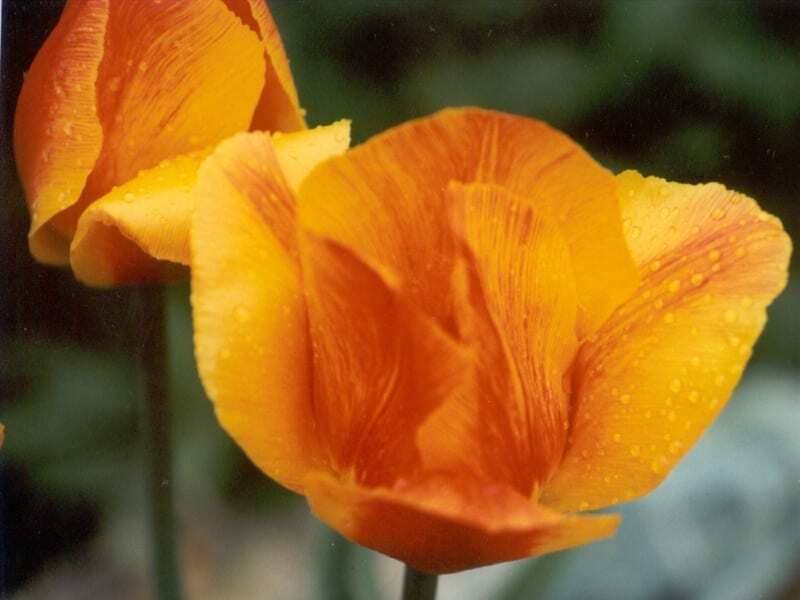 The tulip’s petals are just elongated enough to mimic a flame, and the color is reddish orange, varying with every flower, every petal, on every plant. It’s not a native of North America, but it’s reliable and beautiful, and can give plenty of blooms every year. Looking for a white to rival all whites? The montreux is where you’ll find it. This beauty has double layering in the petals, giving it a more full and rose-like appearance, and comes in a beautiful soft white shade. They’re early risers, giving blooms from early spring onward, and help create a garden look right out of a magazine. The pinnacle of what a stereotypical tulip looks like, this two-footer stretches out its petals in mid spring, showing off a large variation of pink with each bloom. The flowers are larger than its counterparts, and the strong stems means it’ll remain upright in a vase, standing tall among the bouquet. For the yellow to fill in your rainbow, try this mouthful! It’s a small flower, and the tulip doesn’t look like a normal tulip would, but it blooms bright and strong every year! For such a curious name, the Burning Heart really lives up to its name. The petals flower with a mix of white and a deep red. This flower really does outshine many of its sisters, thanks to its bold striping. Another double-layered tulip, Angelique provides a purely romantic and beautiful addition to any garden bouquet. They’re soft pink with just a dash of pink striping, and small and dainty to the touch. They’re darling to see in almost every setting, and are very fragrant! Last but not least, this beautiful oddity. A rare mix of orange and purple, Irene makes a splash in every garden, and in every bouquet. Don’t miss out on a gorgeous plant this spring!